The LA County Sheriff’s Department (LASD) participated in a special concurrent session titled “Leveraging Innovation Without Constraints.” The session panelists delivered best practices for generating innovative thinking across departments and reassessing the resources needed to achieve technology goals. Deputy Andres Bilbao of the LASD Personnel Administration Bureau presented on e-hiring solutions, and how his team uses Laserfiche to streamline the hiring process. For more details on HR automation in government organizations, see the LASD HR onboarding case study. Day One Featured Speaker Brian Elms spoke about his belief in the power of small innovations to transform the world. Innovation groups are factions of professional change managers and innovation leaders within an organization who work together to solve large scale problems using limited resources. These groups are forming in government organizations across the country, who must meet civic demands and regulations with depleted budgets. Professionals who participate in innovation groups are often those who drive new technology solutions in their organization. Soft skills, on the other hand, are abilities sought by companies in an employee that have little to do with technical experience. Examples include dependability, effective communication skills, and an ability to express empathy (seen by some as the most important business skill). Soft skills were at the center of several sessions throughout the conference, especially in Reputation Management Associates President Anthony Huey’s presentation titled “Communicating the Right Way – It’s Not Just What You Say, It’s How You Say It!” Learn more about the importance of soft skills here. Attendees and session presenters expressed interest in government IT solutions that could be configured to automate tasks across multiple departments. 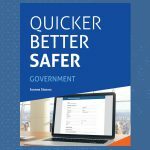 Transparency and centralization continue to be a top priority in government organizations, and enterprise content management makes it easy for departments to simplify processes such as HR onboarding, records management, and document editing and approval. After LASD’s presentation about its implementation of Laserfiche for HR automation, attendees were looking forward to our upcoming workshop in Alhambra, CA, hosted by the LA County Community Development Commission (LACDC). To learn more about how Laserfiche can be used in various government organizations and departments, register for our Alhambra workshop on September 20th. We had a great time networking with local government IT professionals and thought leaders at LA #GovTechLive! We’re looking forward to sharing more ECM best practices at our next government–focused conference. 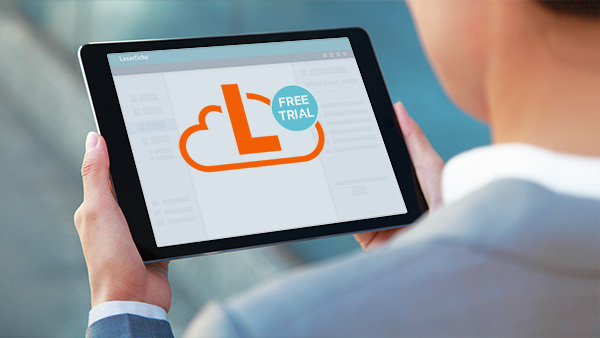 Download our white paper, Streamlining the Business of Government, to learn more about Laserfiche solutions in government.